“Twitter is a very lousy serial killer! Seriously? …RIP Nelson Mandela? I just got off the phone with the man!” tweeted the person calling himself Sir Kwame Nkrumah. According to Wikipedia the real Kwame Nkrumah, the former leader of Ghana, died in 1972. As tweeters struggled to grapple with what had happened, the topic began trending to the number one spot on Twitter and its many associated websites. Successive retweets by people convinced that Nelson Mandela had died, were broadcast, resulting in a counter-RIP ROLL from the perpetrators, in which Justin Bieber was also reported to have shuffled off this mortal coil. An attempt to mitigate the trending topic phenomena, with another hoax, however absurd, succeeded in turning the event into a serial killer on tweetmeme. “RIP Nelson Mandela was stupid and disrespectful. Trying to counteract it with RIP Justin Bieber is just as ridiculous.” posted one tweeter called Kristeenah. At this time, there does not appear to be any official statement by Mandela and Medialternatives is unable to confirm whether or not there is in fact, any cause for concern or whether Borowitz is simply rolling another fast one. 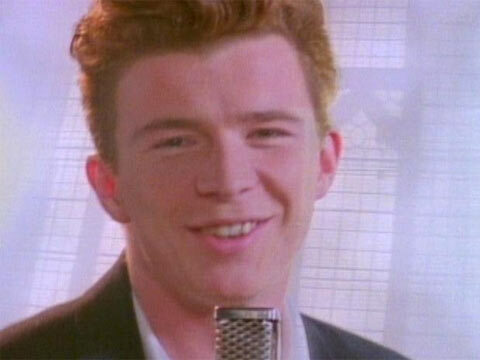 The RICK ROLL is a classic bait and switch: where a person provides a hyperlink that they claim is relevant to the topic at hand, but the link actually takes the user to the Astley video. The speed at which RIP Rolling and counter RIP Rolling occurs prevents either from becoming “Urban Legends” of the variety which create reports about the Loch Ness monster. Nevertheless, some Urban legend sites were quick on the uptake.